Many Louisiana laws protect renters from landlords who withhold their rental deposit after a tenancy ends. Very few renters actually know their rights. Hiring an attorney may be a very effective means to get your rental deposit back plus any other damages you may have suffered. A woman contacted me after she gave her landlord a 30-day written notice as required by her lease agreement. Although she paid her monthly rent timely and gave her landlord a 30-day written notice demanding the return of her rental deposit, the landlord refused to return her deposit after claiming the offsetting of damages to a stove. Per an itemized statement that was sent timely, the landlord charged this woman the full price of the cost of replacing the stove because the burner on the stove stopped lighting. In addition, he claimed that throughout the course of her lease, she did not pay her rent timely and deducted late fees from her deposit. In the end, the landlord claimed this woman owed him money. Supporting evidence strengthened this woman’s case. She provided me with a screenshot of the her written demand letter to her landlord after it had been sent, a copy of her leasing agreement, pictures she had taken of the condition of the rental home before she returned the key, communications she sent the landlord about the problem she was having with the stove burner, the itemized statement from the landlord, a written statement from a repairman who stated that she could not have caused the defect in the stove, and a list of the dates her monthly rental payments were made and the dates upon which the payments were cleared. According to Louisiana law, on demand, the landlord must either return the damage deposit within one month after the lease shall terminate, or if used to offset the tenant’s default or damage, provide the tenant with an itemized statement accounting for the proceeds within one month after the date the tenancy terminates. The terms in the lease agreement dictate whether the tenant is responsible for damages caused to the premises. In our case, the landlord is responsible for the costs of the repairs for damages caused by ordinary wear and tear. This would likely include the costs for repairing or replacing the gas burner on the stove. The tenant has provided evidence from a repairman that she likely did not cause the stove burner to stop working. Furthermore, the malfunction of the stove burner is likely not an extraordinary damage that the tenant must pay for. Therefore, the court will likely find that the landlord wrongfully withheld the tenant’s deposit for the cost of replacing the entire stove. The courts will also likely find that the landlord improperly withheld the tenant’s deposit for late fees. Louisiana law states that a landlord may only withhold a tenant’s deposit when the tenant abandons the property without informing the landlord of his intention to vacate. In this case, the tenant provided written notice of her intent to vacate. With competent and diligent legal counsel by her side, the court will likely render a judgment in favor of the tenant and force the landlord to pay the security deposit, statutory penalties, and attorney fees. 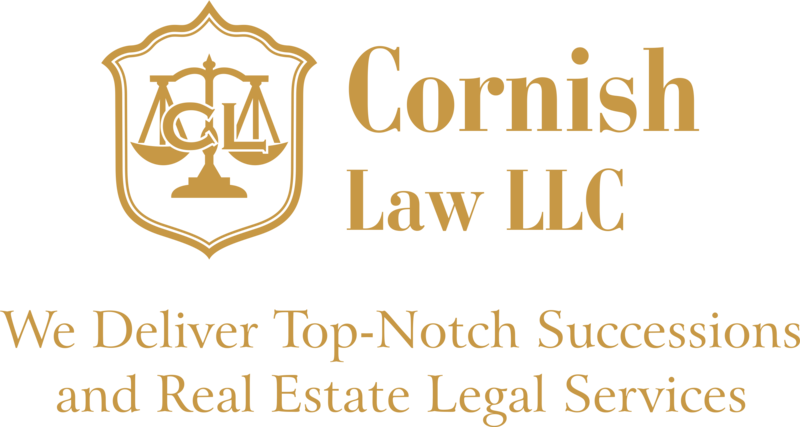 Contact Cornish Law LLC today to hire an attorney to handle your legal matter.